“Walk on my eyes”—this “tarouf” is one of the many colorful expressions with which Iranians convey deference and respect to one another. It is a platitude that “elevates courteousness and hypocrisy to the level of an art” (Serge Michel). 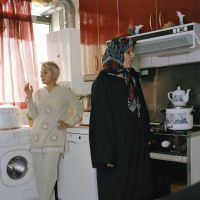 In 2005 as Mahmoud Ahmadinejad was elected president, photographer Paolo Woods and Swiss journalist Serge Michel began their book project in which they trace the connection between happiness and Islam in Iran. The resulting work, “Walk on my Eyes,” is a photographic and text-based portrait that tells of the many faces of this society, as it looks at the stark contradictions between tradition and modernity and the dialectic of appearance and substance in Iranian society. The photographs and text offer a view into a society that appears more differentiated and more humane than that conveyed by stereotypical images. 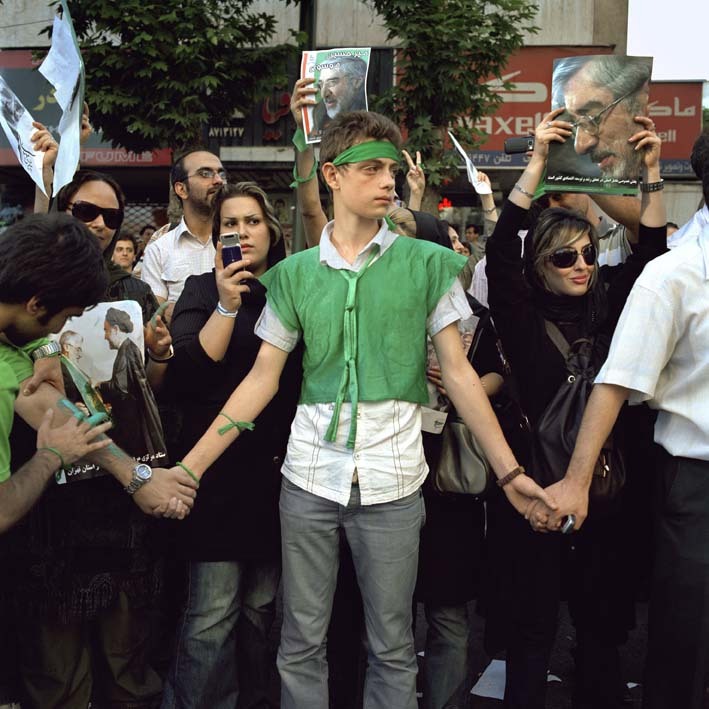 Such clichéd images have been propagated by the Iranian government itself since the Islamic Revolution, and nevertheless have pervaded global public opinion, particularly that of the Western media. Paolo Woods and Serge Michel interview individual citizens about their everyday life, happiness, and other existential questions, and show that despite social discrimination, political repression, and religious fundamentalism one can have a completely normal, happy life in Iran, one that isn’t really that different than in other countries. More than anything else, happiness for Iranians means family and the liberties they can take in private. Paolo Woods and Serge Michel look right in the middle of a politically turbulent time—the emergence of the green opposition, the “reelection” of Ahmadinejad, the conflict with neighbors Iraq and Afghanistan—and yet are conscious of the unspectacular, the everyday, thus staying clear of classic photojournalism, which is most often interested in suffering, oppression, and violence. Their work makes clear that this “bad news” is only a slice of the complex reality, just an aspect of life next to many others, without which the image of Iran is one sided, inconsistent, or simply false. The constantly recurring “images of suffering” promote not just cliché, but also impede the understanding of reality in all of its facets. 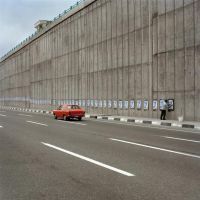 The clear and deliberate language of the photographer doesn’t provoke attention too quickly, but rather invites the viewer to linger and notice details that offer a rare look at the Iranian society, which in this form perhaps one might not recognize. 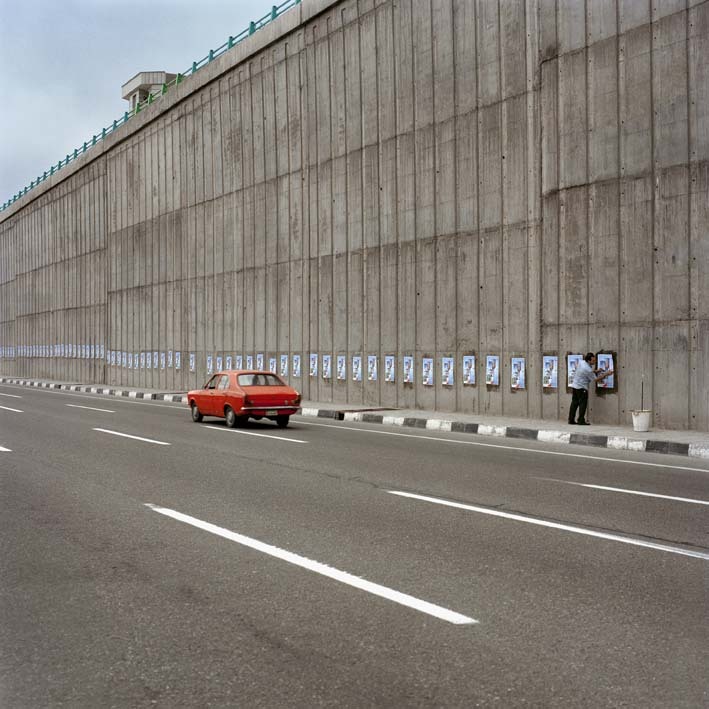 The Forum für Fotografie presents the photographs of Paolo Woods and plans a reading of a selection of the text by Serge Michel. He says: “his [Woods’s] photos should in no way simply illustrate my words and my texts shouldn’t just be longer photo captions.” The book, whose German title is Land des Lachens – Land der Tränen [Land of laughter – land of tears], is a monograph, rather than a classic photo book. Paolo Woods, born in Amsterdam in 1970 the son of a Dutch mother and a Canadian father, grew up in Italy. In Florence he started his own photo gallery and dedicated himself initially to art and fashion photography. His work appears in numerous international magazines, including Time, Newsweek, Le Monde, and Geo. In the late ’90s he became acquainted with Magnum photographer Paolo Pellegrin and accompanied him to Kosovo. From there Woods traveled to Albania and other countries for his first photoreportage (“Un Monde de Brut”). Since then Woods has concentrated on long-term projects like “Chinafrique” and “American Chaos,” which are realized in collaboration with the Swiss journalist Serge Michel, leading both of them around the globe. Paolo Woods lives and works in Haiti.